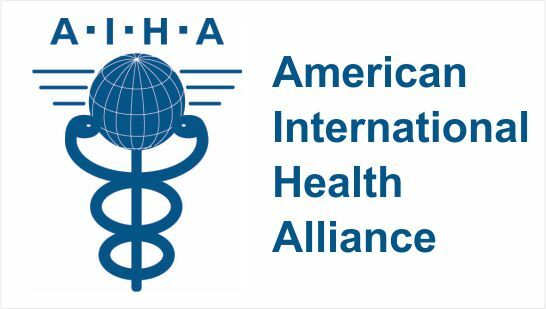 With more than 24 years of experience implementing successful peer-topeer, institutional partnerships to strengthen health systems and build HRH capacity, American International Health Alliance (AIHA) is uniquely positioned to address these challenges. Unlike many organizations that provide technical assistance, AIHA creates and supports partnerships and programs that tap into the knowledge, expertise, and commitment of an extensive pool of skilled health and allied professionals who contribute their experience on a voluntary basis to address health and social workforce shortages in resource-constrained countries. Most of their programs are based on peerto-peer institutional partnerships among healthcare providers and policymakers who collaborate to find sustainable solutions to health services delivery issues. AIHA’s model builds on their understanding that health and allied professionals are more receptive to new ideas and more willing to make changes when they work together with colleagues who face the same challenges. Consequently, they engage these professionals, along with local and national governments, community leaders, and other stakeholders, to introduce new models of care, establish and deploy new mid-level cadres, improve the capacity of existing health practitioners, train and mentor health and social service providers, and strengthen professional healthcare associations and regulatory bodies — all with the goal of strengthening underlying health systems in a sustainable, cost-effective way. This comprehensive approach to health system strengthening has enabled AIHA to achieve sustainable outcomes through more than 175 partnerships in 34 countries in Africa, Central and Eastern Europe, Asia, and the Caribbean. AIHA has identified three overarching goals that will provide a framework for our operations, growth, and development over the next three to five years. Goal 1: Fill critical health and social welfare workforce gaps in host countries as evidenced by an increase in both the number of new pre-service training partnerships supported each year and the number of students who have been graduated and deployed. Goal 2: Improve the quality of care provided by the existing health and social welfare workforce in host countries as evidenced by an increase in the number of health and allied care providers who receive in-service training and clinical mentorship services. Goal 3: Strengthen health system infrastructure, including laboratory and biomedical equipment as evidenced by an increase in the number of new laboratory strengthening and biomedical engineering training partnerships launched and the resultant density and distribution of these key cadres. To achieve these goals, AIHA will invest in continuous quality improvement and rigorous evaluation, strengthen our relationship with a wide range of donors, and build internal programmatic capacity to complement the work of our institutional partners. AIHA will demonstrate evidence that its programs achieve their intended outcomes — from filling HRH gaps to achieving better health outcomes — while constantly striving to ensure value for money.